A great bag for spring to autumn use. The Womens Re Smoozip (-9) will keep you warm and cosy, even in frosty temperatures. 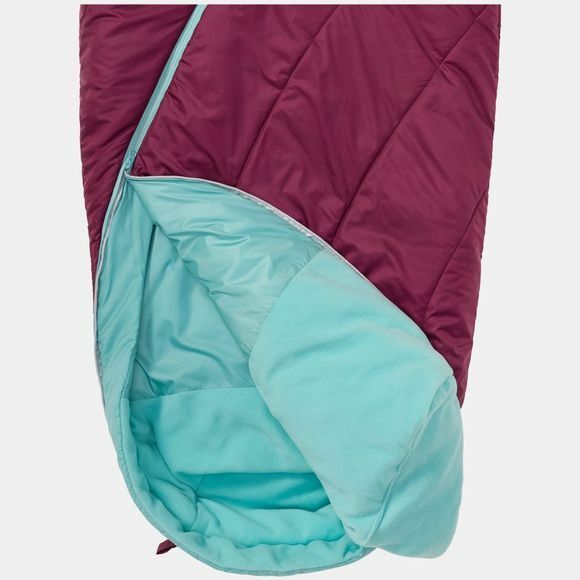 This synthetic fibre sleeping bag has a comfortable mummy shape and will keep you warm in night time temperatures down to -3°C. 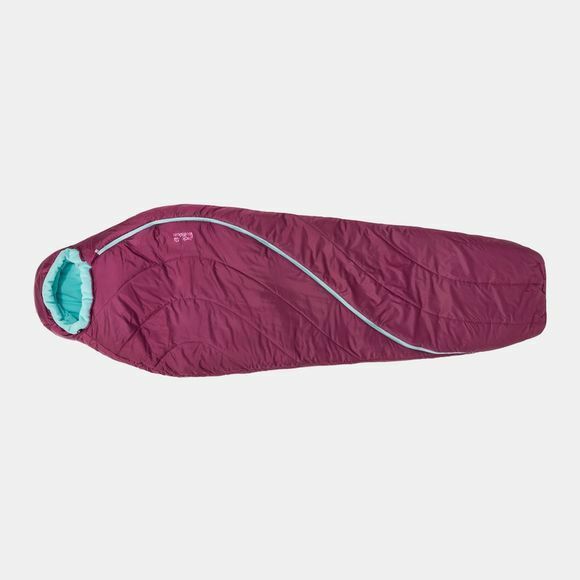 And the special thing about this Womens Re Smoozip (-9) sleeping bag? It's 100% recycled, so you get double the feel-good factor when you're out on the trail. The innovative S-shaped zip is designed to folLow your natural, intuitive movement when using it. It's never been easier to zip your sleeping bag open and closed! To alLow you to regulate the temperature more easily in warm weather we've equipped the bag with a 2-way zip. This means you can zip it open from the top or the bottom. The bag's design and fill have been specially adapted for the female user, with a double layer of high performance Microguard Ecosphere synthetic fibre insulation in the torso and footbox. The soft fleece lining in the footbox, hood and torso feels great next to the skin. The Eskimo hood can be cinched in snugly to prevent cold air creeping in.